How To Buy The Best Hair Dryer - Which? Expert tips on how to choose the best hair dryer for you, including which features to look for and how much to spend. 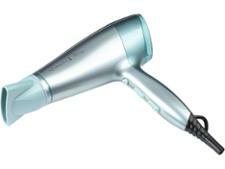 The best hair dryers are light, easy to use and can be relied upon to dry hair quickly and quietly. Explore this page for our tips on buying the best hair dryer for you and your budget. If you take a gamble with your choice of hair dryer, you risk buying a dud. Poor hair dryers are fiddly to use, noisy and may leave your hair full of static – none of which are ideal for a product you regularly use. Below, we explain the key types of hair dryers, their pros and cons, and how to decide which is best for you. Our video above also reveals our top shopping tips. Once you’ve decided on what kind of hair dryer you’re after, make sure you head to our hair dryer reviews to make the best choice for you and your budget. If you aren't fussy about styling, and mostly just use your hair dryer for a quick blast, then a cheap, basic hair dryer will be perfect for your needs. We've tested several models that fall into this category, including the Babyliss Pro Speed and the Tresemme 5542DU Power Dryer. Even the most basic hair dryers still have a choice of heat and air-flow settings, as well as a couple of attachments - usually a concentrator nozzle and a diffuser. See below for more information about these attachments. If you invest in a professional-style hair dryer, you can expect more attachments and functions that will allow you to create a range of styles. 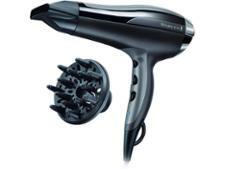 As well as basic attachments, such as a concentrator nozzle and diffuser, a professional-style hair dryer should offer a good range of temperature and air-flow settings, including a 'cool shot' that reduces temperature rapidly and helps to set hair into a particular style. A number of hair dryers we've tested fall into this category, including the Parlux 385 Power Light and the GHD Air. On top of the basics, a professional-style hair dryer may have ionic, ceramic or nourishing technology, touch control and a higher wattage. It may also come with spares such as a replacement air inlet filter. How powerful does a hair dryer need to be? The higher the wattage, the greater the heat the hair dryer will be able to produce and the quicker you'll be able to get your hair dry. For most people, a wattage between 1,500W and 1,800W will be fine. However, even cheap models these days can have a power of 2,000W or more, and some professional models are as much as 3,000W. Lower-wattage models are available, mostly aimed at the travel and camper van market. If your hair is long, or you're doing some complicated styling, then you might be holding your hair dryer for a while. Make sure you choose a model that won't have your arm aching after a couple of minutes. Lightweight models weigh in at around 500g. The lightest we've tested is the Tresemme 5542DU Power Dryer at just 512g, but some hair dryers, such as the Nicky Clarke Diamond Shine NHD152 (1,077g) are more than twice as heavy. If the hair dryer is poorly balanced, it will feel heavier and be more awkward to hold. If you can, hold the hair dryer when you are in the shop and check whether it suits you. Each of our Which? hair dryer reviews also reveals the weight – and perceived weight – of each hair dryer on test. What's the best hairdryer for each hair type? Look for a hair dryer that is light enough to hold comfortably above your crown for a long time, so you can create the perfect straight style by blowing your hair dry, along its length, from the roots to the end. An ionic function is good for leaving straight hair soft, shiny and smooth. Curly hair often looks its most defined if left to dry naturally. To avoid losing definition when using a hair dryer, choose one that can dry hair slowly and carefully. Search our ratings for a dryer that scores well on the low-heat setting. If you prefer to let your hair dry naturally, then give it a quick blast to add volume, look for a dryer that dries quickly on high settings. Using a diffuser is a good but slow way of getting voluminous curls. Choose a hair dryer with a very narrow concentrator nozzle, so you can dry your hair in sections without blowing it around too much. Avoid overdrying your hair, and choose a hair dryer that gives you the option to dry it slowly and carefully. An ionic function is good for leaving hair shiny and smooth. Choose a hair dryer with a narrow concentrator nozzle to add lift at the roots, which gives hair the appearance of volume. Drying your hair at a lower temperature is best for fine hair, as it is more vulnerable to breaking than coarser hair. Heat causes damage, as it removes moisture from the hair, and the higher the heat, the more moisture is removed. If possible, dry your hair on low heat and speed settings, and avoid holding the hairdryer against your hair. Do I need an ionic function? 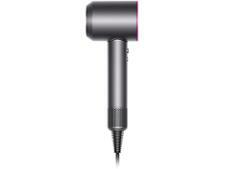 It's quite common to come across hair dryers with ionic technology. Ionic technology conditions hair using negatively charged ions, which are created by passing air over an electric current. An ionic function can be a permanent feature of a hair dryer, especially a professional-style hair dryer, or switched on and off with a button. Manufacturers claim that an ionic function protects hair, reduces frizz, improves shine and banishes static. In previous tests, we found that using an ionic setting reduced microscopic signs of hair damage caused by drying at high temperatures and speeds. So if you like to blast-dry your hair quickly, we would recommend a hair dryer with an ionic function. However, if you generally dry your hair on low power and speed, then this is also effective at minimising hair damage. The pictures below show: from left, normal hair; hair after 100 dryings on maximum heat and speed; hair after 100 dryings on maximum heat and speed with ionic function. Which other hair dryer features should I consider? Ceramic technology: this is designed to add shine while protecting hair from frizz and damage. Concentrator nozzle: a narrow attachment that comes as standard. This nozzle concentrates both air flow and heat. Direct it towards hair roots to add volume, but move it frequently to avoid damage. Some air flows feel too hot with a concentrator nozzle, so you might need to use a lower heat. Cool shot: cool hair holds its shape better, so use this feature to rapidly reduce the air temperature and set your hairstyle. Most cool-shot buttons need to be pushed continuously to operate, and some can be a bit stiff. Diffuser: the prongs on a diffuser hold up sections of your hair in order to add volume to the roots. They also reduce the ferocity of the air flow, which gives definition to curls. It takes longer to dry your hair using a diffuser, which can make them a bit time consuming for everyday use. Hanging loop: a loop at the top of the power cable that is useful for hanging a dryer out of harm's way while it cools. Nourishing technology: oils are infused into the hair dryer with the aim of combating flyaway or frizzy hair. Power cord: look for a long cord if you like to hold your hair dryer up to a mirror as you style. Power cords range from less than two metres to more than three metres. Never wind the cable around your hair dryer for storage, as this can damage the internal wiring and create a fire risk. Some hair dryers have a retractable cord. Removable air inlet: most hair dryers have a removable end cap with mesh filter that catches dust and prevents your hair from getting caught in the motor. This should be cleaned regularly to avoid a built-up of debris, which reduces air flow and can cause your hair dryer to overheat. This is particularly important if you use a lot of styling products. Switches: there are two basic types - sliding and rocker switches. Sliding switches are set into the handle, and can be hard to use if they are stiff, lack a textured grip or don't stick out. Rocker switches are activated when you push their raised end down. They are easy to use, but can be accidentally activated as you hold the handle, unexpectedly changing the heat and speed mid-drying. Tourmaline technology: involves the generation of negative ions and is aimed at speeding up the blow-drying process and reducing static. We've reviewed 18 of the best-selling hair dryers, and found that spending more doesn't guarantee better quality. So it's well worth checking out our reviews before buying. Just want to know the best? Here's our very simple solution: head to our best hair dryers.